HOME » Blog » Which is the best season in Japan? Whether you think cherry blossom can’t be beaten or nothing could be finer that fall, Tour leader Brian Beatty takes an objective look at Japan’s seasons, weighing up the pros and cons to help plan your trip. Does Japan have a best season? Cherry blossom, hydrangeas, tulips, nemophila (baby blue flowers) … You name it, Japan has got it and in a beautiful setting. Things start warming up and the temperature outside is very comfortable, averaging out at around 14°C (57°F) in April and 18°C (64°F) in Tokyo in May. In early spring a light jacket is needed on some days, late spring = t-shirt weather. From late March through to early May, you’ll have the rare opportunity to watch the iconic geisha perform at a series of dances in Kyoto. 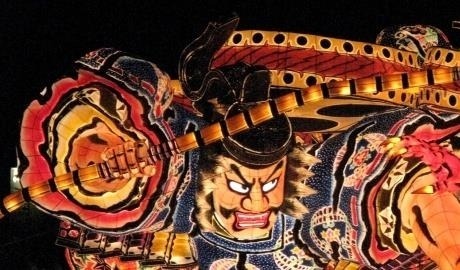 Celebrate the changing of the seasons with this quaint festival in the traditional preserved town of Takayama. 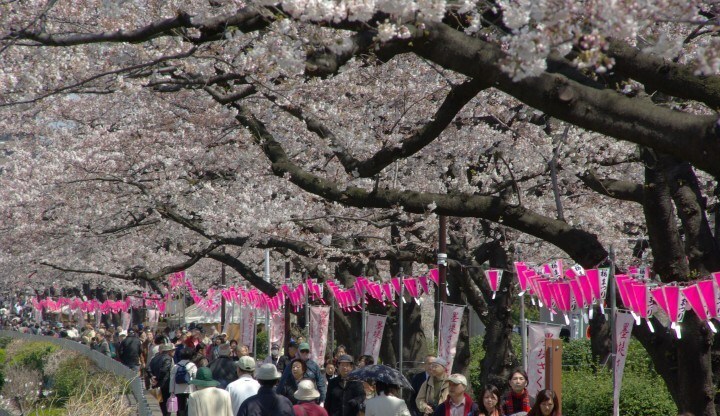 Especially, for the cherry blossom (usually 1st week of April) and Golden week (end of April and 1st week of May). Expect trains, top sights and accommodation to be booked up well in advance, and parks chock full of parties enjoying picnics under the trees. That said, if you know where to go there are plenty of hidden gems for people looking to avoid the hordes. Bear in mind that the cherry blossom can be unpredictable and tends to only last around two weeks. There aren’t as many blue-sky days. When compared to other seasons, spring is towards the bottom of the list in my opinion. You can feel this electricity in the atmosphere – everyone is going somewhere or doing something. People are making their way to the beach, and festivals and parties are happening everywhere. 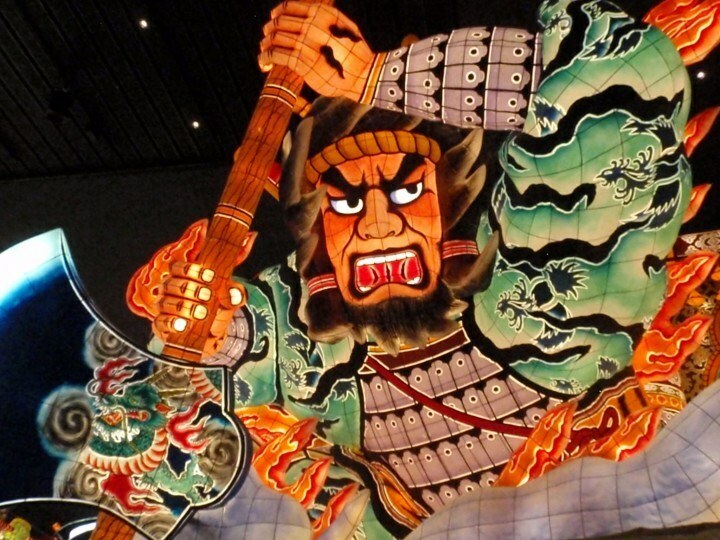 If you’re travelling in August, don’t miss the incredible Nebuta Festival where huge colourful floats are carried through the crowds, or the Awa Odori dance festival on Shikoku island. You haven’t seen fireworks until you’ve seen them in Japan. There are even firework competitions! Perhaps the most spectacular of all is the Sumida River Fireworks that take place on the last Saturday of July or the Miyajima Fireworks Festival in August. This photo gives you a sense of the atmosphere, but it is not an accurate representation of just how amazing the fireworks are. Google Japanese fireworks to see what I’m talking about. 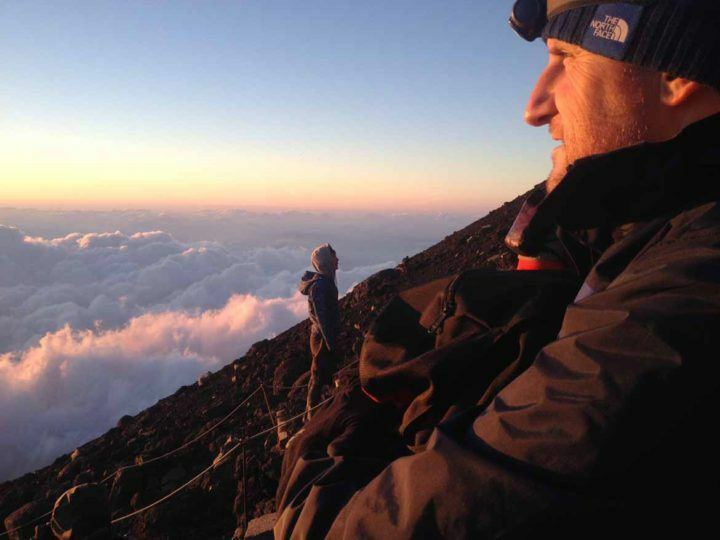 Many people don’t realise, but it’s only possible to climb Mount Fuji in July and August, and there really is nothing quite like seeing sunrise from the summit. Always wanted to see those cute baby turtles scramble towards the sea? 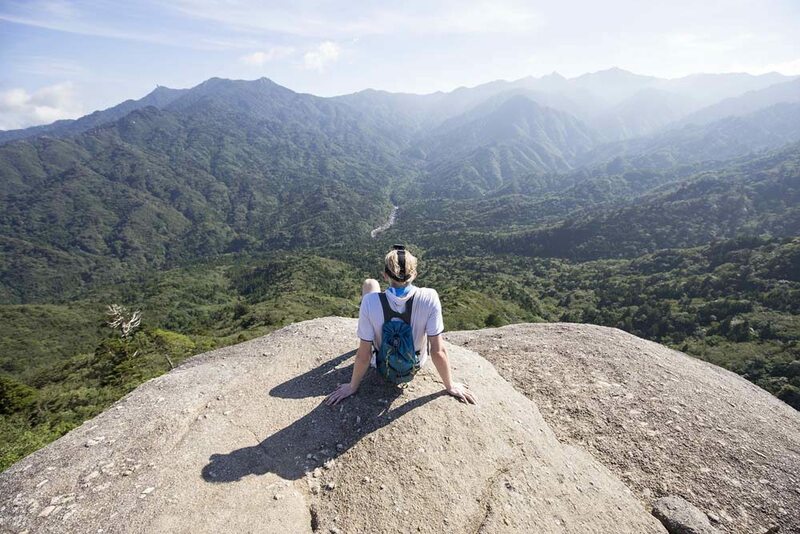 On the island of Yakushima you can do just that between July and September! All the plants and trees turn this beautiful vibrant green colour. Everywhere you turn is green, especially in the countryside where it feels like you’re being swallowed by all the green vegetation. In 2018 we had some record-breaking heat, so expect it to not only to be hot – August highs can reach above 30°C (86°F) – but humid as well. We get a lot of typhoons in summer which sometimes means suspended transportation too. 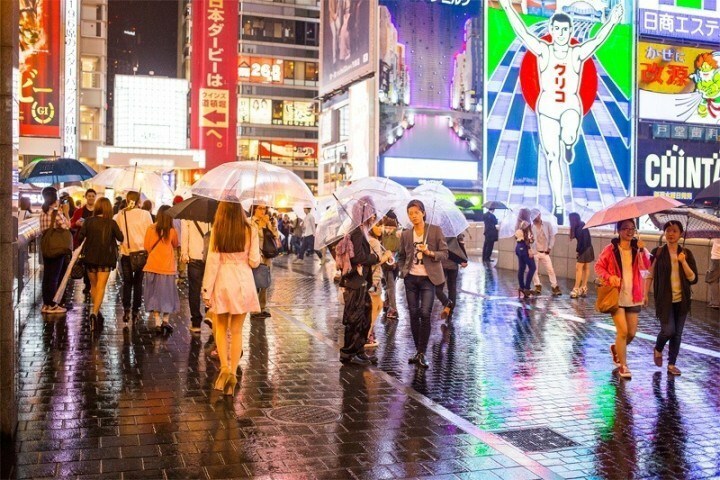 Don’t forget about June – it’s also known as the rainy season in Japan. Not so much in the city but once you step foot anywhere near a park or plants expect mosquitoes and other insects. The foliage in fall is absolutely breathtaking, with a variety of different trees offering an array of texture and colours. The weather cools down quite a bit, averaging at 12°C (54°F) in November, with a lot of sunny blue-sky days. 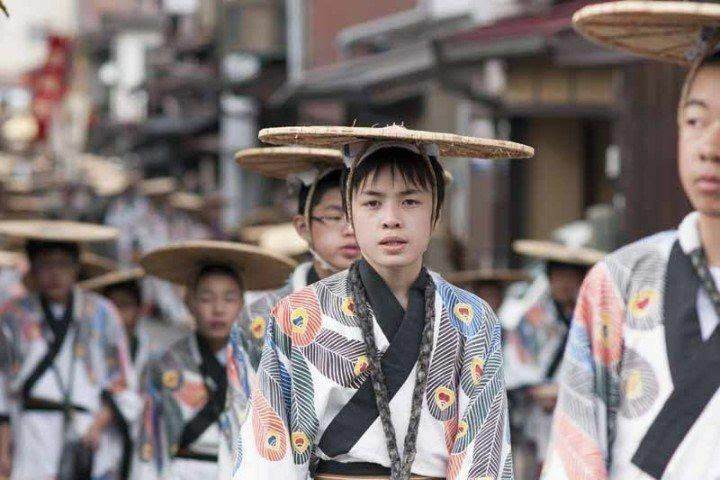 As lovely as its spring counterpart, the Takayama Autumn Festival welcomes fall with an array of colourful costumes and traditional music in October. 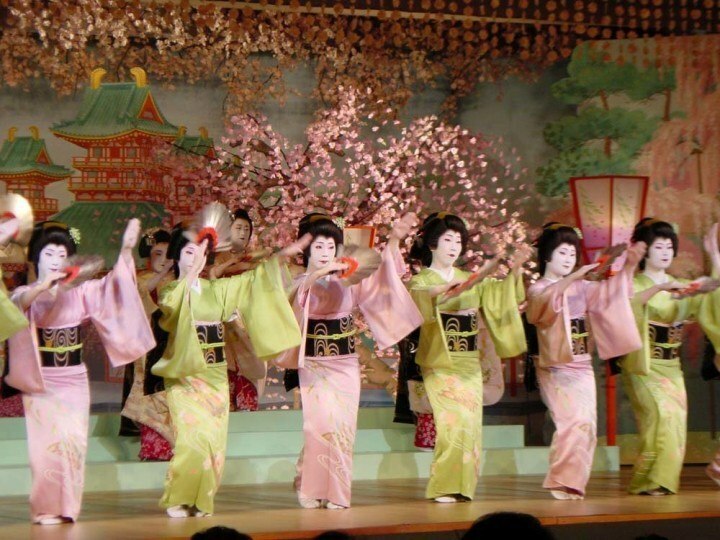 Spring isn’t the only opportunity to see the geisha dances in Kyoto. In the first ten days of November, they take to the stage again for a series of beautiful performances. It’s busy depending on where you are. For Tokyo, the leaves start changing colour around mid to late November (you can find out more about where to see the best of Japan’s autumn leaves by month here). I know I said cool weather previously, but every once in while we get these super-hot days in fall, but the trains seats are still heated and stores will still have their heat blasting, making it a bit uncomfortable. Typhoons in Japan mostly occur from July to October, but mainly in August and September. I like to end things on a positive note, so let’s start off with the cons on this last one. Japan doesn’t have daylight savings so some days it starts getting dark around 4.30pm. Majority of tourists come to Japan for the cherry blossom and autumn foliage, so winter is the best time to beat the crowds and have a lot of places all to yourself. For Christmas in Japan, people usually go on a date with their significant other to look at the Christmas lights and over New Year everyone goes back to their hometown, so no DUI checkpoints, no traffic, or crazy Christmas shoppers. The illuminations across the country are as special as summer’s fireworks, with lanterns in Kyoto in December, the winter illuminations in Tokyo and the white illuminations in Sapporo transforming the landscape into a winter wonderland. Yes, you can see snow monkeys all year round, but if you want to see them in the snow, there’s only one time to go – winter! 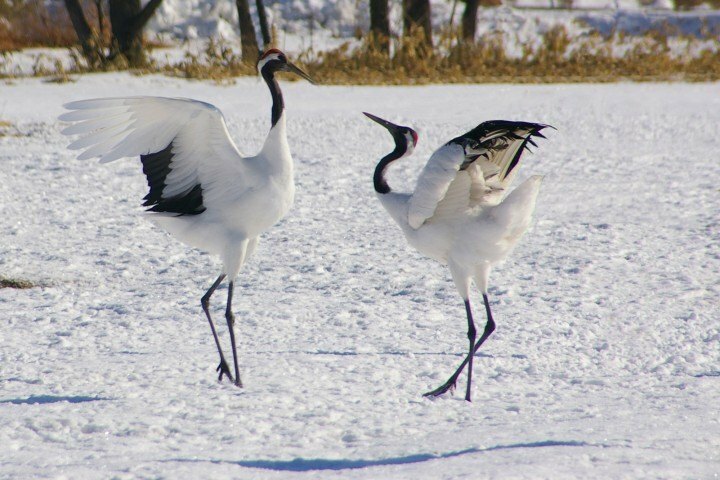 Even more spectacular, up in Hokkaido you can watch the red-crowned cranes dance and see Steller’s sea eagles amidst the drift ice. 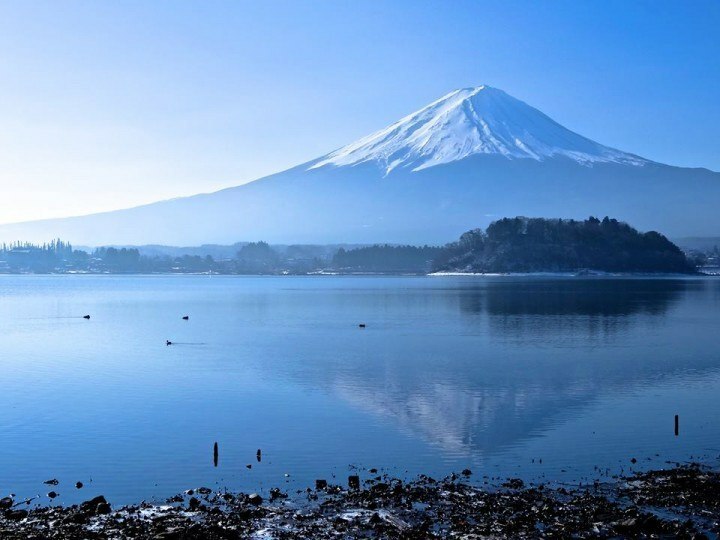 Powder hounds won’t find a better place to take to the slopes than Japan! Find out more. 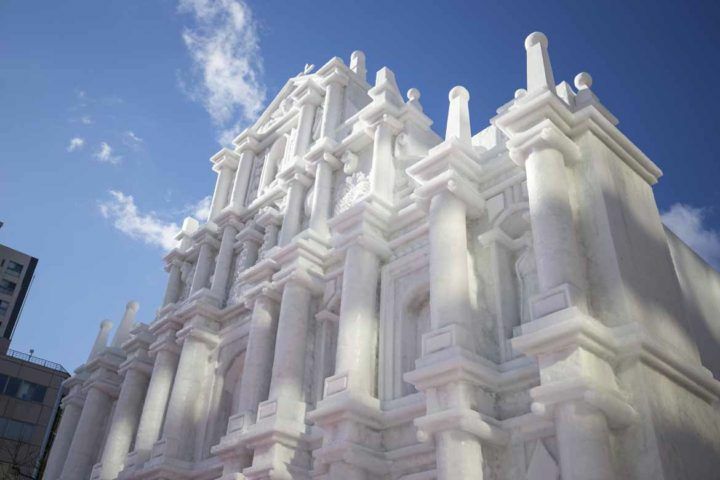 While you will need a few layers to keep warm, with building-sized snow sculptures, the Sapporo Snow Festival is well worth a visit (just be sure to book your accommodation in plenty of time). As you can see, when it comes to Japan you can’t go far wrong! Take your pick of our Small Group Tour departures to join one of our esteemed tour leaders, or enjoy the flexibility of our Self-Guided Adventures. If you still can’t pick your favourite season, head to When to Travel; your go-to guide for events and weather throughout the year.